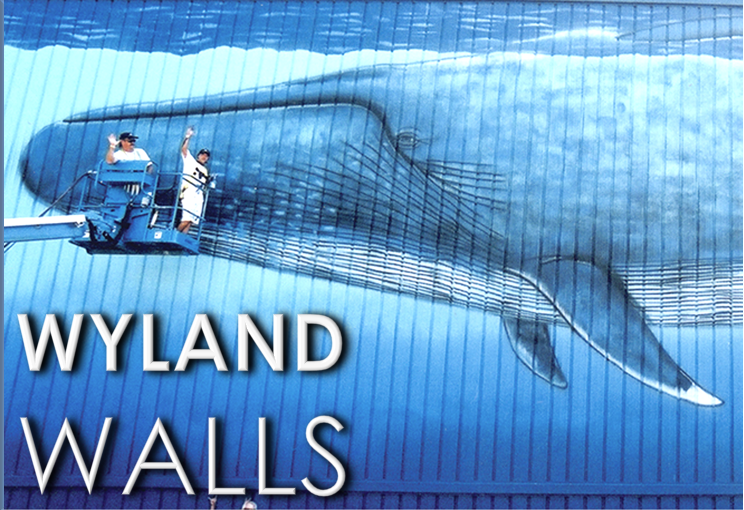 Wyland Florida Keys Wall Restorations restore the iconic marine life murals created for Florida communities over the past two decades. Stella's Whale Migration, a Florida-based children's movement in the power of setting goals, reaches over 6,500 students across the state of Florida. Putting America's Watersheds in Focus, a month-long multi-city tour campaign for watershed stewardship, reaches families across the North Eastern United States. Wyland, Wyland Foundation, and the US Forest Service collaborated with hundreds of local school children to paint healthy aquatic ecosystems and learn about our natural world for FOCUS New England. May is For Maddie month-long tour inspires children in underserved communities about the conservation of our watersheds and ocean throughout Southern California. Mayor’s Challenge for Water Conservation motivates residents from 1,000 cities in all 50 states made online pledges to save a total of 4.7 billion gallons of water over the next year. Wyland Foundation leads an interdisciplinary panel of artists, educators, and government leaders on the singularly important topic: "Building a case to save arts in schools," at the National Art Educators Association National Convention in New York, NY. Dana Wharf Sportfishing and Whale Watching’s “Wyland Dolphin and Whale Adventures: Art Lessons in the Wild" show local children how to gather artistic inspiration from nature. Papahanaumokuakea Marine National Monument Exploration with Dr. Sylvia Earle calls attention to the cumulative impacts of marine debris, overfishing, non-native species and sea temperature change on fragile coral reefs and endangered species in the Hawaiian Islands. Orange County Department of Education honors Wyland Foundation with the Outstanding Contributions to Education award. 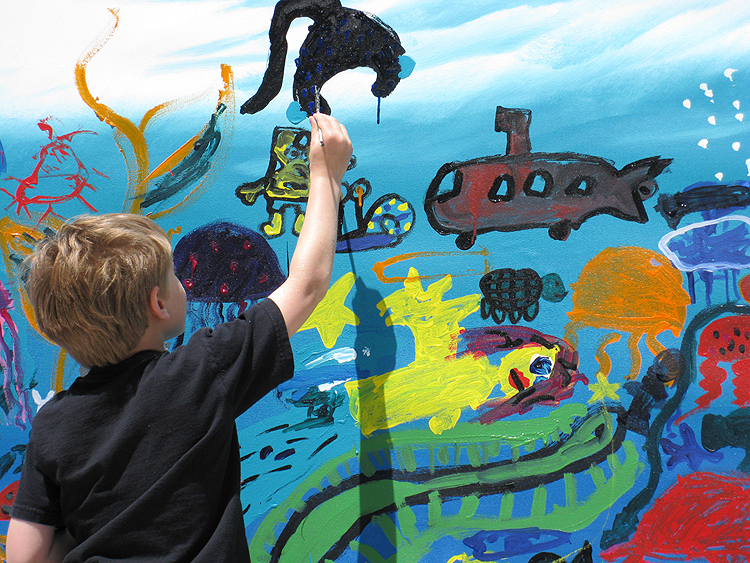 "Living Green, Living Healthier" art contest contestants create action-inspiring murals. In celebration of the UN International Year of Forests and the 100-year anniversary of Oregon Department of Forestry, FOCUS Oregon reached hundreds of families with environmental awareness activities. Wyland Ohana Day celebrated Hawaii’s precious water resources from the forests to the sea with families across the Hawaiian Islands as part of the FOCUS program. Earth Month Heroes program honors 30 Southern California teachers for their commitment to environmental education. 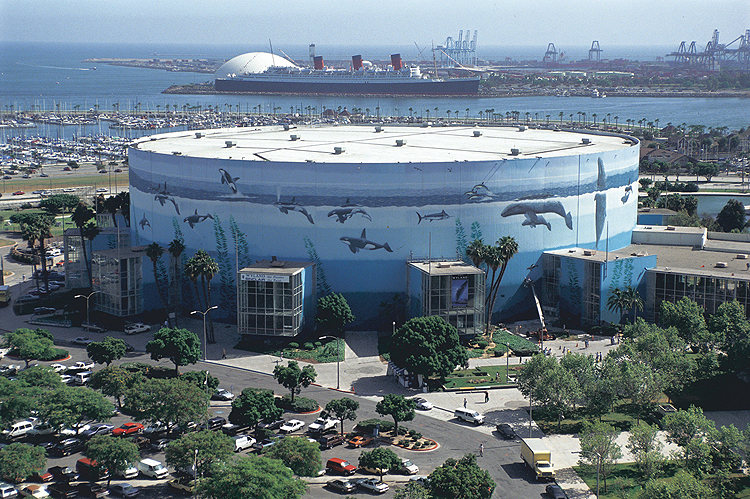 Southern California Mayor’s Challenge for Water Conservation engaged over 100 Southern California cities in a healthy competition for a cleaner community resulting in pledged savings of over 897,000,000 gallons of water over the course of one year. Wyland Foundation, in partnership with U.S. Forest Service and NOAA, hosts FOCUS art and science event for 2,500 people in Galveston, TX. Wyland Living Green Fairs bring together 10,000 people in Long Beach, CA, and Boca Raton, FL, for environmental sustainability. 3,000 students in both states participate in the Water is Life Classroom mural contests in partnership. Wyland Foundation returns to the Gulf of Mexico with the National Wildlife Federation for documentary filming about the oil spill disaster. 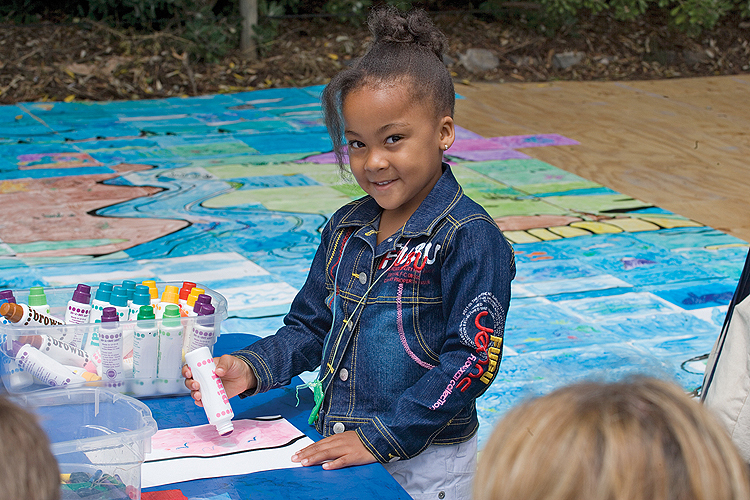 FOCUS event in Anchorage, Alaska brings together students, families and artists for National Get Outdoors Day. United Nations issues a series of commemorative stamps of Wyland artwork to celebrate the 50th Anniversary of the Intergovernmental Oceanographic Commission (IOC). One Ocean, One Planet West Coast Tour educate and inspire students spanning the West Coast about their relationship to the ocean and how they can play a vital role in its protection. Wyland Clean Water Mobile Learning Center education program reaches 25,000 elementary and middleschool students throughout Southern California. Inaugural Wyland Living Green Fair motivates thousands of South Florida families to live a more environmentally friendly lifestyle. 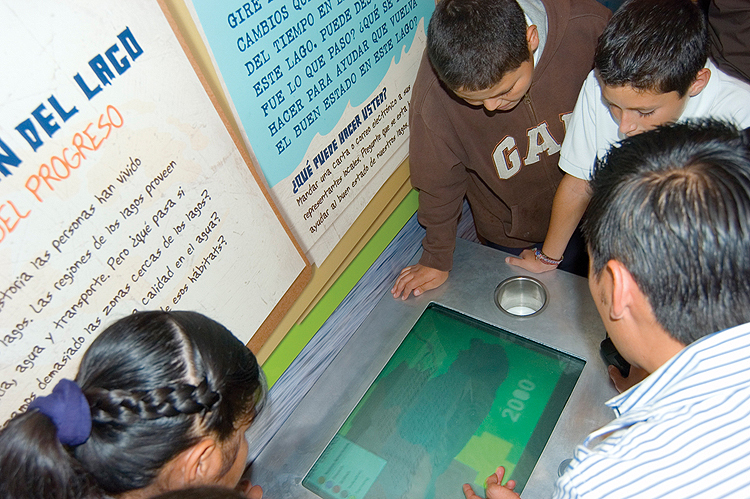 “Mobile Learning Center Across the Border” Tour reaches students and families in Baja California, Mexico to bring together children from both countries for marine conservation and clean water education. “Hands Across the Oceans” homecoming exhibition at the National Mall in Washington, DC in celebration of the opening of the Smithsonian’s Natural History Museum’s Sant Ocean Hall. 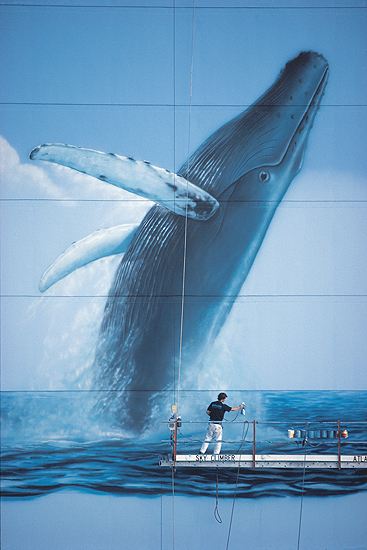 Last 5 Whaling Wall murals painted in 5 countries around the world to celebrate the connectedness of our world’s ocean: #96 – Pago Pago, American Samoa; #97 – Plymouth, United Kingdom; #98 – Santos, Brazil, #99 – North Lauderdale, Florida, United States; #100 – Beijing, China. Wyland Clean Water Mobile Learning Center launched to increase student knowledge of the function of watersheds and understanding of the impact that the children, their families, and communities have on these systems. “Every Drop Counts” Nationwide Tour traveled across the United States to promote a message of a healthy environment, healthy lifestyle, and saving more than 10 million gallons of water. Wyland Ocean Challenge Newspapers-in-Education program broke all NIE participation records when it was requested by over 1,000 classrooms and reached over 26,000 children. 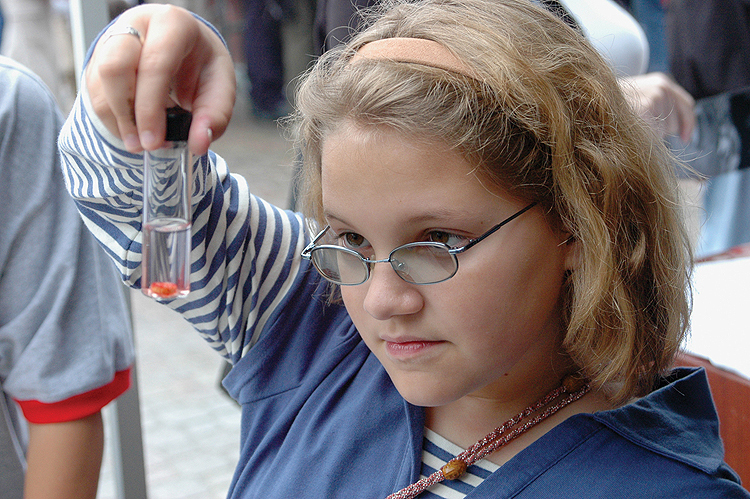 Water’s Extreme Journey Maze created to education students across North America through exploration, scientific inquiry, artistic expression, and action to understand the science behind water purity and realize the power each individual has to make a difference.